New Delhi: Self proclaimed doctors in West Bengal are likely to receive training in medicine. As a part of the move, nearly 3,000 quacks or informal health-care providers with no formal medical education — are to be trained for six months. The crash course in medicine, which is to be conducted by 130 trained nurses, will begin from December 1 reports Hindu. The crash course comes following the results of a joint study that recently got published in the journal Science. The Study- “The Impact of Training Informal Healthcare Providers in India: A Randomized Controlled Trial,” came to being as an effort by Liver Foundation, West Bengal, along support of West Bengal National Rural Health Mission, World Bank’s Knowledge for Change Program and a Bristol Myers Squibb award. 54% seeking primary care in the state of Bengal are being treated by quacks or ” Informal Medical Practitioners,” the study revealed. Shockingly, this figure is much less than states like Rajasthan, Madhya Pradesh and Andhra Pradesh, where the population going to these IMPs is as high as 75%, it added. As a part of the study, 152 randomly recruited informal Medical providers were given 72 low-cost sessions over 9 months ( More than 150 hours). This reportedly led to 14.2 per cent improvement in their ability to correctly handle cases and compile basic checklists. With the attendance per session being 56 per cent, it was found that the gap between qualified doctors and quacks to correctly manage cases was reduced by half. Those who had attended all the training sessions were found to be on a par with qualified doctors in handling cases. In the first phase of the government-supported study, the researchers provided lessons in anatomy, symptoms of common health disorders, the adverse effects of drugs, and the recognition of serious conditions to 152 unqualified practitioners, while using a group of 152 as controls. The researchers say that after training these unqualified doctors, it benefitted in a way that they could provide better diagnoses of the issue patient was dealing with and could give basic treatment. Although the training did not reduce their likelihood of providing unnecessary medicines or antibiotics to patients but the training also helped them not to make unnecessary use of medicines. The researchers have said that these unqualified doctors can be trained to serve in rural areas in bereft of qualified doctors and provide basic treatment to patients who need immediate attention. The study’s findings have prompted the Bengal government to order a scale-up of the training. Dr. Abhijit Chowdhury, a gastroenterologist at the Institute of Post-Graduate Medical Education and Research, Calcutta, and team member told The Telegraph about 2,000 more of such unqualified practitioners across rural areas in the state are likely to receive the training designed by The Liver Foundation, a public health organization based in Bengal, in the coming months. The study has resulted in a debate between medical fraternity and government. Indian Medical Association (IMA) that describes these self proclaimed practitioners as quacks have raised opposition to this recommendation and opposed the proposal of training them, as this could encourage them to call themselves a substitute for doctors. 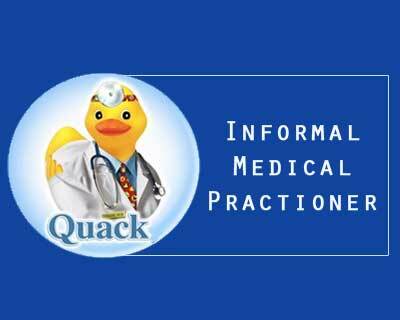 A senior official of the IMA, a private body of doctors that describes unqualified practitioners as “quacks”, said the Bengal study should be condemned as it is a “criminal activity” to train unqualified practitioners who have the potential to harm patients. The researchers, however, in their report have clearly pointed out that although these self proclaimed practitioners cannot replace the need of a qualified practitioner but they can provide the basic treatment with not causing harm to patients which they can cause without training. They said that the care patients receive in primary health centres is itself far from adequate. The researchers in support of their study affirmed that the training which their study recommended was not aimed in any way to encourage quacks to view themselves as substitutes for doctors, but only to empower them with necessary information, in order to prevent patients from being harmed. Can the same analogy be applied to other fields having shortage of skilledskilled manpower? For example, train rickshaw and taxi drivers, 6 months intensive program and appoint them as pilots exclusively for Politicians ? All this is vote politics.Quacks form a sizable vote bank who vote en mass but qualified doctors are non serious voters whose vote is highly divided.Hence politicians ignore them. Such an exercise will only undermine healthcare situation . Allowing quacks to legally practice medicine will lower the moral of qualified doctors who put up so much toil in studying medicine. Such self proclaimed doctors do already exist. I do not see any harm in giving them some basic training so that they are able to recognise conditions which h need to be seen by trained doctors and referred to them on time and treat simple conditions. The challenge would be how to monitor these so called quacks before patients come to serious harm because of the arrogance that some of them are likely to have thinking they are as good as trained doctors.